The Social Responsibility Portfolio at Somerset College is a portfolio that allows students to learn, grow, and most importantly experience the joy of giving to others who are less fortunate in our community. The portfolio includes a wide range of activities for students to be part of during the week both on and off of campus. On a Monday during the eighth period, a group of 12 to 15 pupils head off to Wendy’s crèche in Firgrove, where they will play, and do homework with the kids there. On a Tuesday also during the club period a up to 15 students are involved in cutting and pealing vegetables, which are donated to the local soup kitchen in Somerset West. Wednesday’s hold one of our most famous clubs at the school, and involves the arrival, of twenty-eight excitable Grade 6 pupils from Macassar. These pupils receive one-on-one tutoring in Mathematics from volunteers from all grades. Our Thursday’s kick off with a early morning group of over twenty pupils who make sandwiches before school. The sandwiches are delivered by volunteering parents to Macassar Primary school to be enjoyed at their lunch break. All activities making up the Social Responsibility Portfolio are open to all grades to sign up and welcome anyone eager to contribute. On top of this the Portfolio runs numerous clothing, stationary and blanket drives (leading to a school sleep out during July 2016, to raise money for the homeless) during the course of the year. 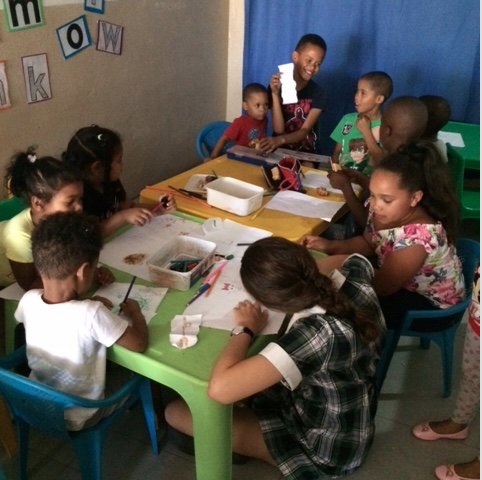 Students both part, and not part of the Portfolio are involved in making toys, birthday cards and posters, as well as Secret Santa parcels at Christmas time, which are packed with a range of goodies, and donated to Brak-en-Jan crèche in Raithby. Our Social Responsibility portfolio is rapidly expanding, and growing both in numbers and our range of activities available to the students at Somerset College to be part of. I hope that this incredible group of young learners will continue to make an impact, and inspire all students at the school to do every little bit they can to make positive change in the lives of the people of our poorer communities.